This weekend at Designer Con 2016, Munky King will be debuting the newest colorway of Luke Chueh’s Headspace vinyl figure! 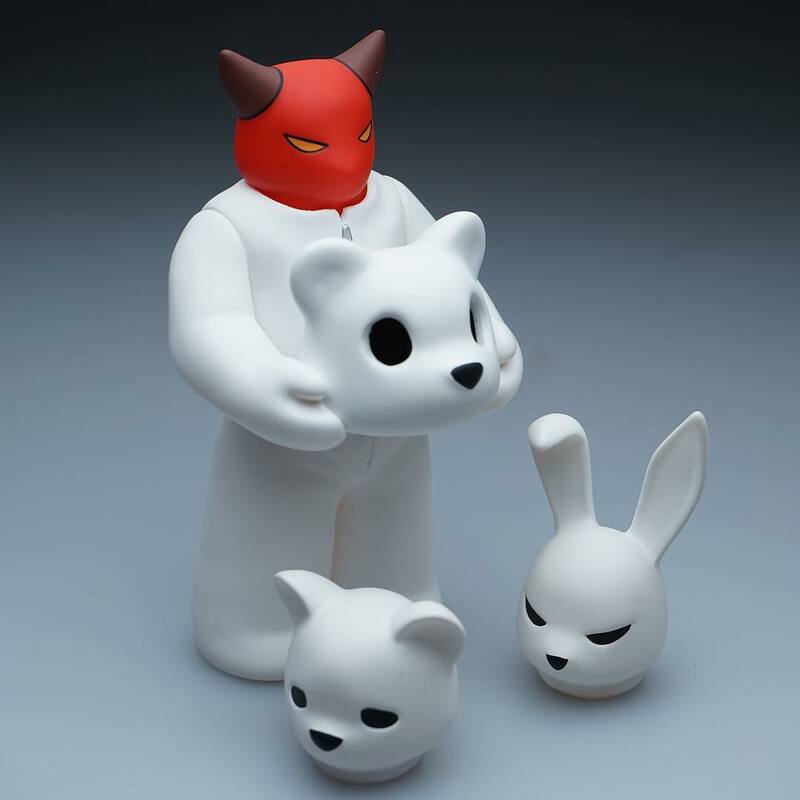 The “Bears, Rabbits, Devils, Oh My!” Headspace Set #1 includes three heads – Devil, Bear and Rabbit – marking collectors’ first opportunity to get the awesome red Devil head. This also marks the first non-event exclusive release of Headspace. Headspace Set #1 will be available at the Munky King DCon booth #435 before seeing a wider release after the convention.